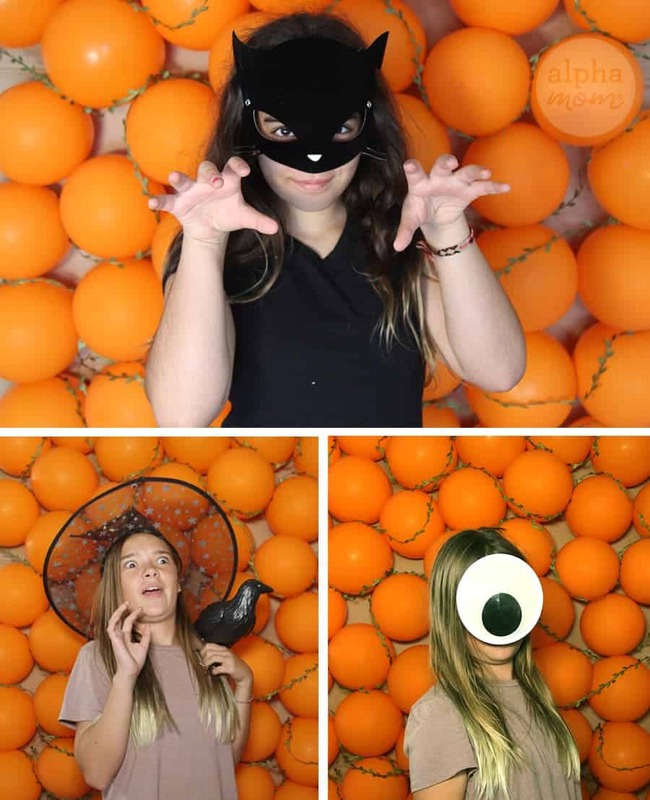 If you have a Halloween Party or any festive autumn event planned and you are looking for an easy backdrop for photos or just to decorate quickly we have the easiest backdrop wall for you ever: BALLOONS! Who knew?!? First blow up a few balloons to the size you like. Place a balloon on your cardboard so that just the edge of the balloon touches the edge of your cardboard or overlaps a few inches. 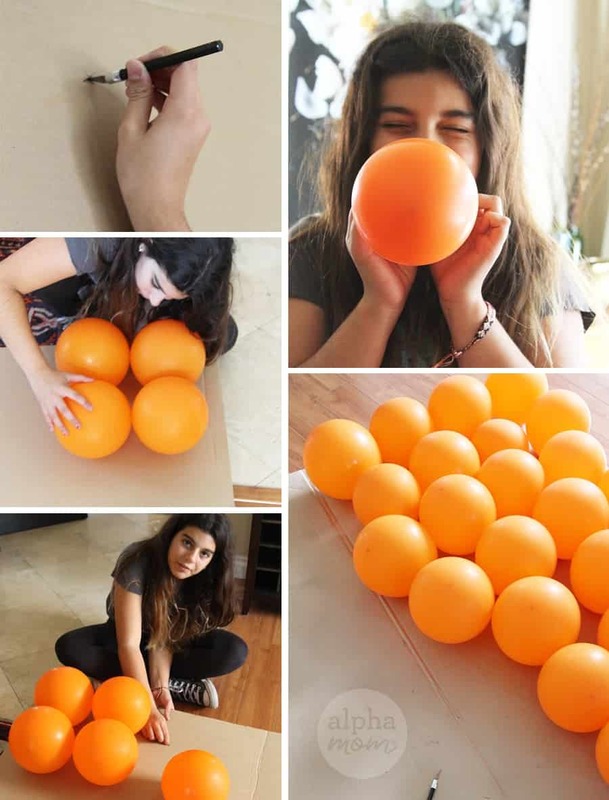 Feel where the balloon stem touches the cardboard and hold that spot with your finger. Remove the balloon and cut a small “x” where you marked the spot with your finger. 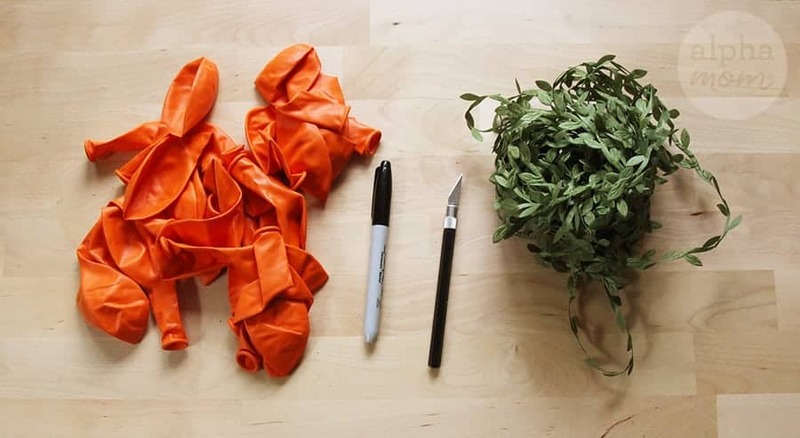 Gently push the stem of your balloon through the “x” cut so that the knot comes through the other side of your cardboard. Repeat with another balloon touching the first balloon. Repeat until your whole cardboard is filled with balloons. You can work in a measured grid and make everything straight or be like us and just place them randomly but close together. Pretty easy right?! The hardest part is probably blowing up that many balloons. A bicycle pump or air mattress pump might come in handy. 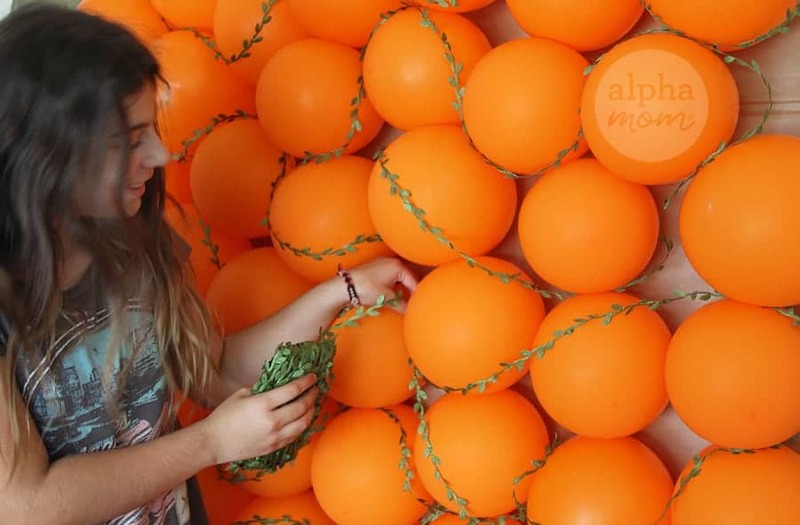 Attach your cardboard balloon wall to a wall with push pins. 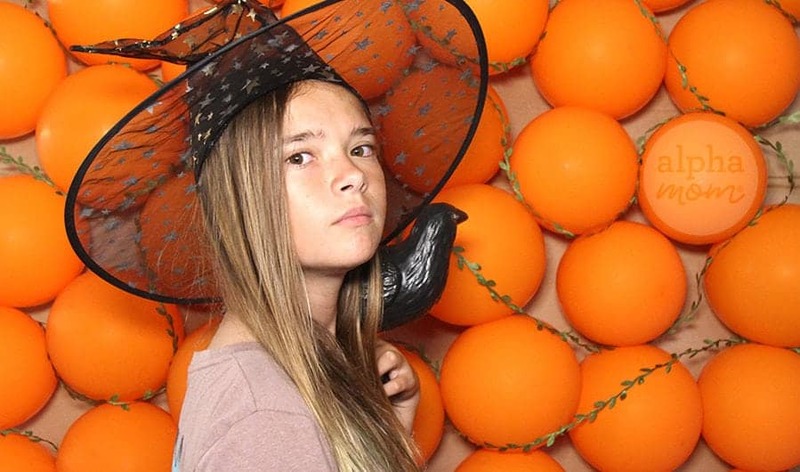 Then, if you are going for a more natural look weave your faux vines around the balloons. 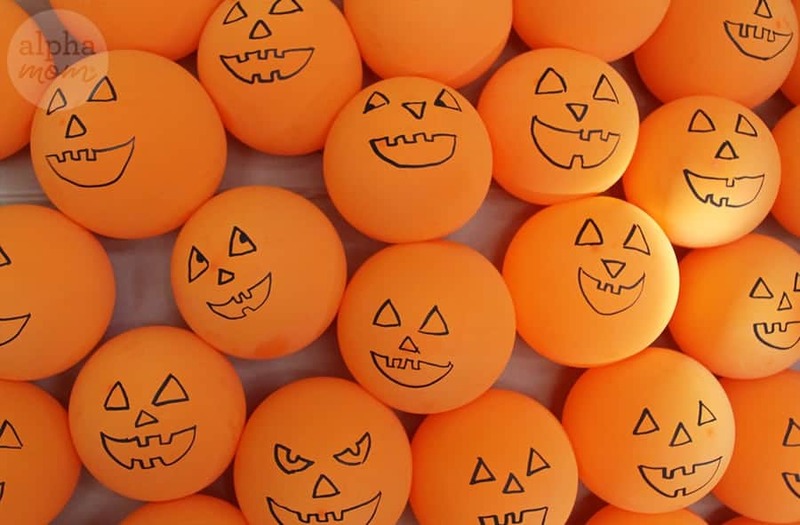 Or get out that permanent marker and draw a bunch of jack-o-lantern faces! So fun and cute, right? 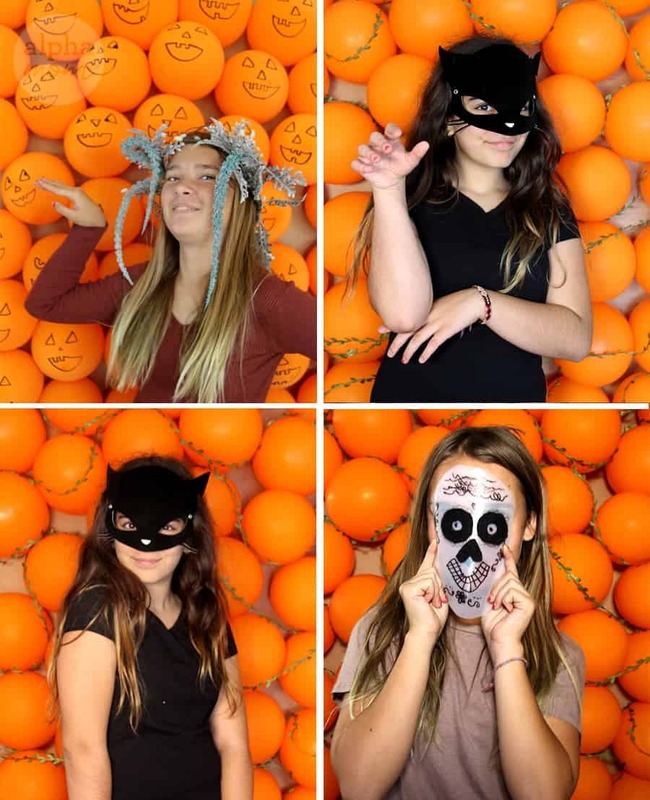 Then grab your party guests and pose the night away! You’re sure to get some interesting photos! P.S. This photo wall could easily be done in any color…we’re thinking ombre for a baby shower would be cute!